If it had to choose anyone from both, which one shall be more appropriate one? We will discuss such differences in this article. 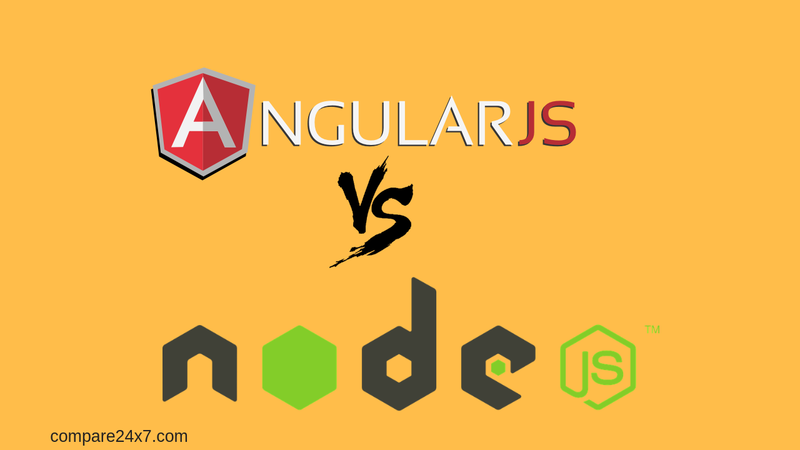 We’ll have a look at these Angular JS vs Node.js features, Pros & Cons as well. And the business scenarios that can work upon efficiently for the passionate developers. It is an open source web application framework that is maintained and working in co-junction with the Google developers. It helps users to add dynamic views in their web application in a section known as Model-View-Whatever (MVW) architecture with components help to gain the appropriate position of a preferred framework for the interactive web applications and data-driven applications. It works similar to a backend platform for the HTML just like Node.js. The Angular JS boasts some compelling features for developers and designers. And it is regarded as one of the best choices for developing web applications. The framework is based on MVC design that helps to properly integrate and adapt to the web application. It features data binding capability to HTML providing lot ease of access and a responsive experience. It has very basic features such as directives, filters, and automatic data bindings by developers who write a lot of complex codes with simple features. You have to implement features such cross-browser compatibility such as HTML extension in order to take care of the differences. Fortunately, Angular JS v1.3 does not have the support for IE8 so if you need the support for the particular application then you should not have the Angular JS integration. Cross-platform hybrid or native mobile application developments are made to work by Cordova, PhoneGap integration and Trigger.io. Also, there are other responsive modules that can be put to work such as deck grid, UI a bootstrap, angular gesture that helps in responsiveness of the mobile websites. It works on an MVW architecture that is capable enough to provide other patterns like Model-view-controller or Model-view-view Mode. It consists of supporting the Direct DOM manipulation and dependency injection. In fact,Angularjs architecture is still new and developers are figuring out what would work and what doesn’t. As there are many ways to structure an app. One of the brilliant bountiful features of AngularJS is the testing aspect. When the Google developers have worked with the testing in mind they make sure that the entire AngularJS framework was testable. It carries out different functions with brilliant functionality for testing AngularJS code to make it use the framework. It also features coding with Karma (programming language) which makes the testing unit better. The protector to be used with the end-to-end testing and thus it makes more convenient in all operations across all channels. It supports event-driven with functional and object-oriented programming paradigms. It features a great capability for making website well-versed unlike other codes such as Python. Indeed the Node.Js is excellent for creating a web application in real time. JS is one of the favorite languages and more than 90% of developers are acquainted with it. All Node.Js is one of the best solutions which offer efficient resources and works lightning fast. Node.js uses the single-threaded loop model architecture to control the multiple concurrent clients. The main advantages of having a single threaded loop model are used for background workers. This event-driven Node.js based platform is specifically everything that happens in Node is the reaction to an event. Event-driven programming is enthusiastic to the students beginning to start the Node.js. 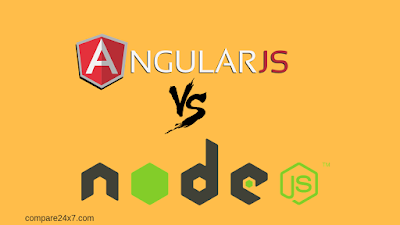 To start the Node.js programming you have to understand the basic difference between the Node.js and traditional server-side scripting such as PHP, Python as well as Ruby. Node.js requires the need to implement everything. This can be overwhelming to new to Node.js but it pays off the highest performance web app. The scripts here handle almost all communication with the clients considerably minimizing the resources used by various applications. As you know Node.js is primarily non-blocking and event-driven servers and due to its “single-threaded nature”. It used generally for making traditional websites and back-end API services but was designed in real time with a push back architecture in mind.